documents, including citizenship papers, greencards, as well as IDs. providing accuracy and government approval. 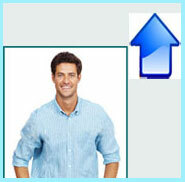 for you to select the number of photographs you need for a reasonable rate. Passport and visa photos last a long time, and it is only human nature to want to look your very best! home country or the country of your destination to use this service. our tips for taking a good passport photo! the United States or overseas. Shipment in the United States is free. Here are some general tips to help you take a good passport photo. hanging up a white sheet is also another option. * If you wear glasses, take them off. photo. A good trick is to hold your baby under a white towel. Or place them down, on something like a crib.